A man who claims to be a former drug dealer of Angelina Jolie has posted a video of her online – and it contains some shocking content. This clip was taken during the early days of her career and shows a person who is much different from the acclaimed ‘most beautiful woman in the world’ that she is considered today. It is claimed that Angelina is high in the video, and her behaviour certainly suggests that this might be the case. Angelina looks unkempt with bloodshot eyes and dirty fingernails, and there are many sores on her skin – her speech is also a bit slurred. Was Angelina Jolie a Heroin Addict? In interviews in the past, Angelina has referred to a ‘dark period’ she went through during her early twenties. In the past, she has said that she was ‘never a serious career addict’, but the evidence from this video makes it look as if she was pretty close to this. Angelina has not provided too many details about what happened back then (why should she), but she does say that she felt lucky to escape from that period with her life. This video would have been taken during this troubled part of her life, with it certainly looking as if she had some serious problems back then. 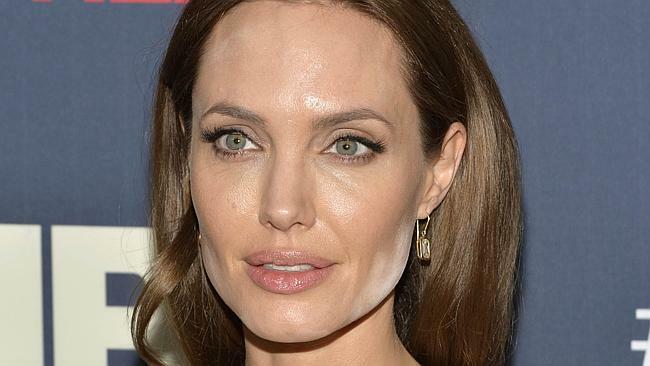 The person who recorded this video of Angelina when she is allegedly high on drugs is ex-con Franklin Meyer. He has been trying to profit from his relationship with the star for years, and there have been similar stories reported in the media in the past. He says that he used to supply Angelina with drugs once per week and that he would deliver these to her apartments. It is not clear if she knew that she was being filmed during one of these visits, but it is this that has been released online. It appears as if this video has been floating around for a few years, but it seems that Meyer is doing his best to get every last bit of attention he can out of it. Some fans may be shocked to see this video of Angelina, and it does show her as a far less glamourous and confident person than the person she is today. On the other hand, it does provide an example of how somebody can completely turn his or her life around. It is often the case that drug use is glamorised in the media, but it is clear that there is nothing glamorous about drug use. The sad reality is that there are many talented people who never manage to escape from the life that Angelina managed to walk away from. Her beauty and talents could have been so easily lost, and so would all of the important humanitarian work she has done over the years. It is incredibly unfair that this part of her life that she has managed to escape from is being aired in public like this. People deserve the right to have their privacy protected. This is likely to be a period of her life she just wants to put behind her, so it would be nice if the media allowed her to do this. Hopefully, some good will come out of this intrusion in her privacy – perhaps it will encourage someone struggling with addiction problems to get help or discourage a young person from trying drugs. Perhaps now that this video has been released, this story can be put to rest for good.